Responding to Film is a dynamic tool for students who seek as complete an understanding of film as is humanly possible. By focusing on film, the author looks at how it offers students an understanding of themselves, of their culture, and of art. 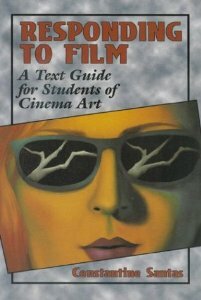 This guide also seeks to familiarize the students with the practical methodology for studying film: how to understand film genres, techniques, and language. The book is supplemented by comprehensive lists of films for study, web sites, and model films. It also includes a model course for instructors. Teachers will find this marvelous guide valuable in a variety of courses, including film literature, film aesthetics, and film as an adaptation of literature.